A £150m plan to boost mobile signal in rural areas is in jeopardy after network Three UK cooled on the idea. 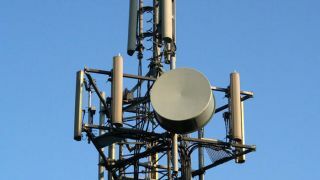 The Guardian reports that Three has declined to put its equipment on masts paid for by the George Osbourne backed-plan, which aims to boost signal in parts of the UK where there's little or no coverage. Three believes that it won't have enough of the the all-important mobile spectrum in order to deliver good coverage. The company says if its equipment was placed on the masts, the signal would work indoors, but wouldn't travel as far as the other networks'. Three has has now delayed a decision about its participation until after the 4G spectrum auction, which isn't expected until next year. The government had hoped to give out the contracts to build the masts next month. Osbourne's plan is also under-threat as it'll only reach a fraction of the 6 million people it had hoped to help. The new masts will only reach 60,000 households, while there are 900,000 households in the UK that don't have full coverage from all four of the major UK networks - O2, Vodafone, Everything Everywhere (T-Mobile and Orange) and Three.